Verybusy A/W 2014-15…shooting in the shop! Click here to watch the entire IVO MILAN staff at work in the shop trying on the Verybusy A/W 2014-15 proposals. Despite the meaning of its name, Verybusy is an Italian knitwear brand near to definitely slower rhythms. 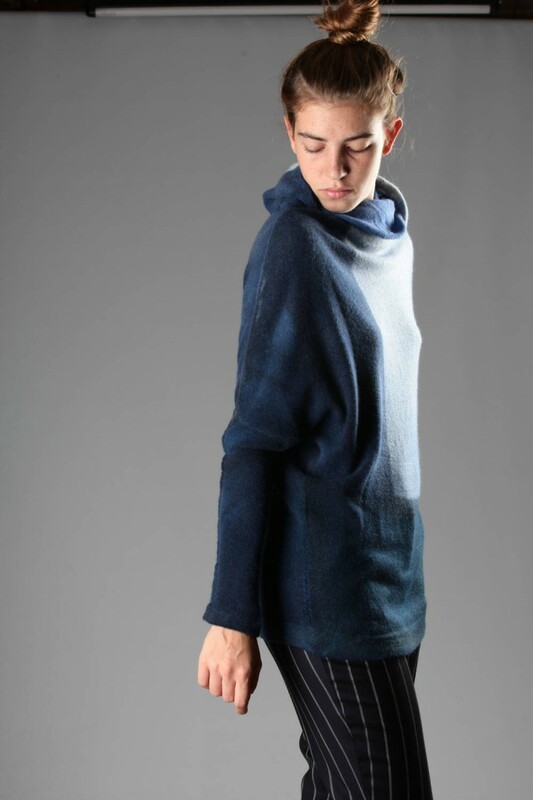 Among the winter proposals, with the exception of some pieces in bamboo as anallergic base ideal for the skin, it comes out with a very soft hand cashmere yarn. The shapes, in their terse essentiality, varies from tighter and more linear ones to others wider and more comfortable and are thought in function of the company chromatic project. In fact the Verybusy innovative potential consists in the systematical experimentation of the colours, together with the radical determination in using only natural fibers. Every sweater is conceived as a singly palette. The dyes are absorbed and then given back by the yarn surface in a suggestive combination of adopted shade and chosen material. Nuances and pictorial exercises compose pieces different from one another, because they never comes out with the same colour distribution. With the outside often very different from the inside, the use possibilities are doubled and are adapted to the need or the preference of lighter or darker shades. 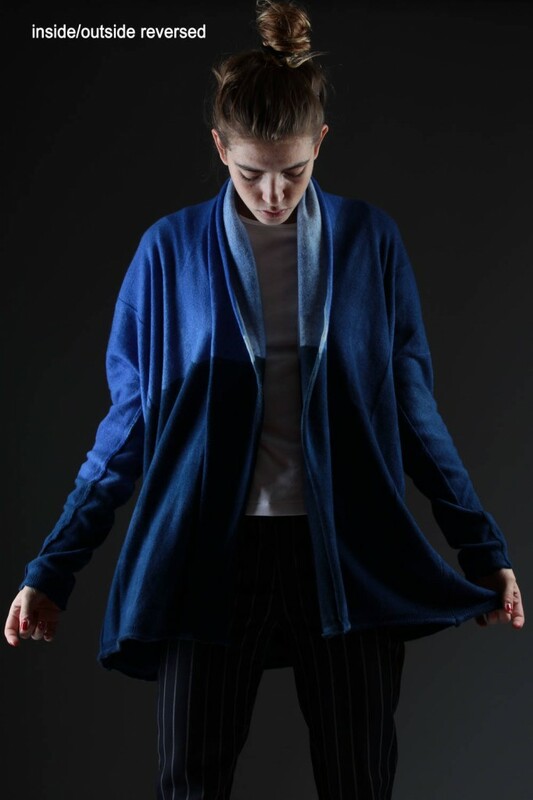 Without formal excesses, Verybusy enters with discretion into more complex lines and, with great pictorial sensibility and extraordinary textile skill, realizes a knitwear line unique in its mastery of changing the colour tones, keeping in the same time the extreme softness of the best cashmere completely unchanged. Verybusy 1 thread on point 8 cashmere cardigan with abstract painted effect printing with side windows, reversible. Verybusy 1 thread on point 8 cashmere sweater with abstract painted effect, high cowl neck, trapeze line, reversible. Verybusy wide sweater in stocking stitch cashmere with abstract printing with a painted effect, turtle soft neck, reversible. Verybusy wide cardigan in stocking stitch cashmere with big rectangle pattern in different colours with a painted effect, wide V neck, reversible. Verybusy wide cardigan in stocking stitch cashmere with tone on tone colour shades, wide V neck, reversible.